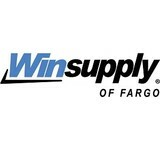 Winsupply of Fargo is a locally-operated wholesale distributor of HVAC and hydronicl products. Winsupply serves trade professionals working in the residential, light commercial, multi-family, and hospitality construction and remodeling industries. Based in West Fargo, ND, Red River Plumbing Inc. does the highest quality plumbing work in the Fargo-Moorhead area. We specialize in new construction plumbing work, but our licensed plumbers can handle any job you throw our way. Our staff does professional work and pays the utmost attention to detail -- give us a call today to have your project done correctly. Call us today! 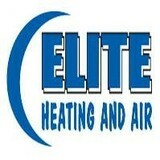 Locally owned business for 10 years with 30 years experience, providing "Solutions 4all Seasons". 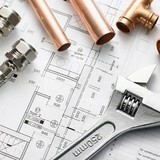 What do HVAC contractors do? “HVAC” stands for “heating, ventilation and air conditioning.” An HVAC technician or contractor specializes in heating systems, air duct cleaning and repairs, insulation and air conditioning for your Fargo, ND home and other homes. Generally, Fargo HVAC contractors or HVAC technicians work with or run companies that repair or install heating systems and air conditioning units for homes. But they have specialized services too. For example, if you are a wine collector and you are thinking of installing a wine cellar in your Fargo, ND home, you might hire a North Dakota HVAC professional who specializes in refrigeration work. HVAC professionals can use their skills to help you to save money on your Fargo, ND home’s energy bills by installing radiant barriers in your attic or split-zone heating and cooling systems to heat rooms like solariums while cooling upstairs bedrooms during warmer temperatures. If you or a family member suffers from allergies, you’ll want to find a North Dakota HVAC technician who is knowledgeable about the latest cooling and heating products that include antiallergen filters. Contractors who work in the HVAC industry keep up on the latest in heating and air conditioning technology so outdated or troublesome systems can be retrofitted with newer, more energy-efficient models. Some of these professionals may work with your contractor, builder or other home improvement professional to get the job done. Find HVAC contractors on Houzz. Look in the Professionals section of our website and search for North Dakota HVAC contractors. 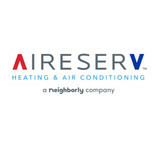 Read reviews and see how an HVAC contractor might approach your Fargo, ND home’s heating and cooling challenges.